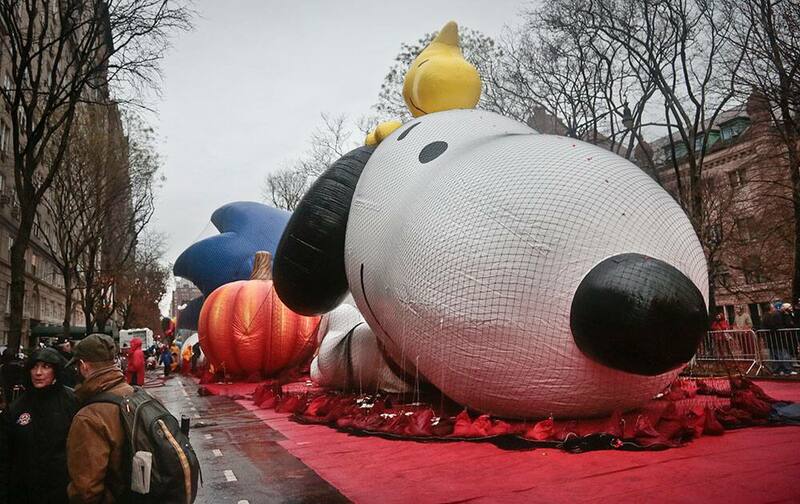 The Macy`s Parade Snoopy balloon is partially inflated in New York. 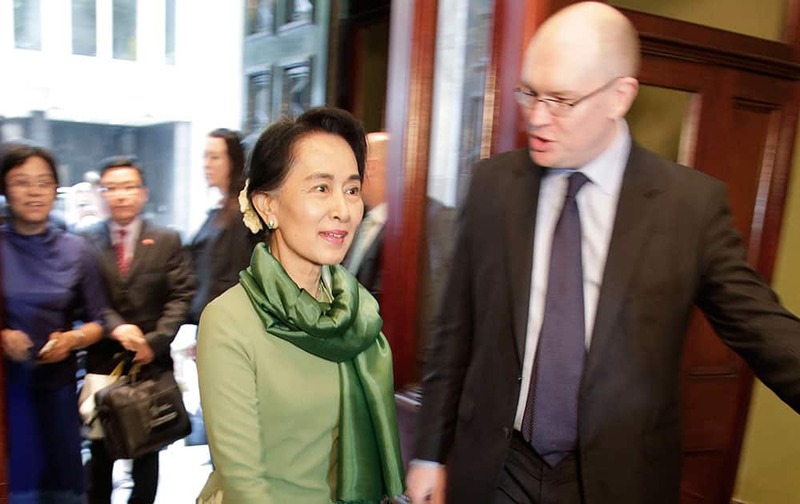 Myanmar pro-democracy leader Aung San Suu Kyi, center, arrives at the Lowy Institute in Sydney. 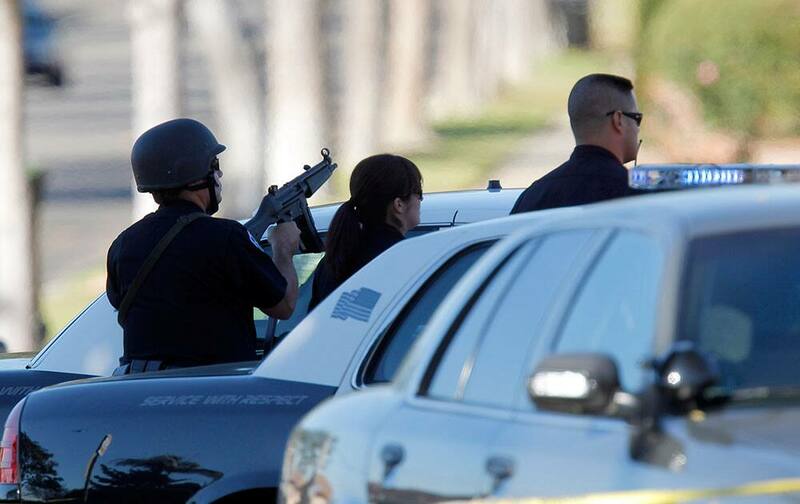 Inglewood police officers take up positions outside a residence, Wednesday, Nov. 27, 2013, in Inglewood, Calif., where a police officer was shot and another received minor injuries in a confrontation with a gunman who barricaded himself inside a home and could be holding a hostage, authorities said. 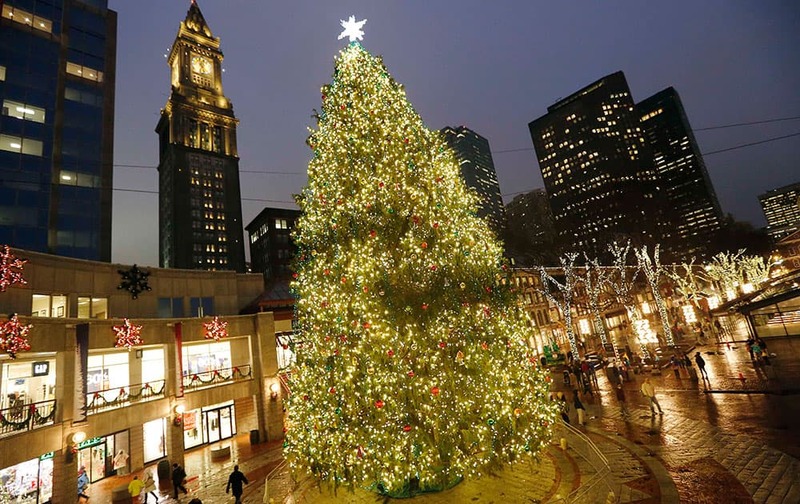 Holiday lights illuminate a concourse at Quincy Market in Boston. 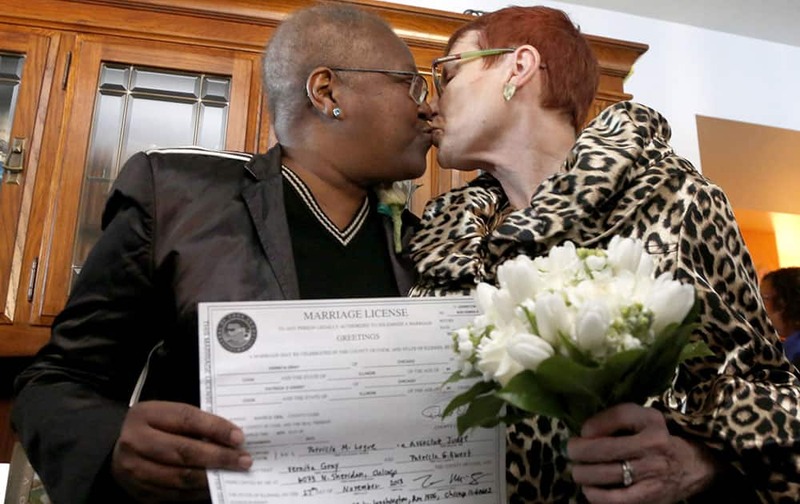 Holding their Illinois marriage license, Vernita Gray, left, and Patricia Ewert kiss after they were married by Cook County Judge Patricia Logue, the first gay marriage in Illinois, at the couple`s home in Chicago. 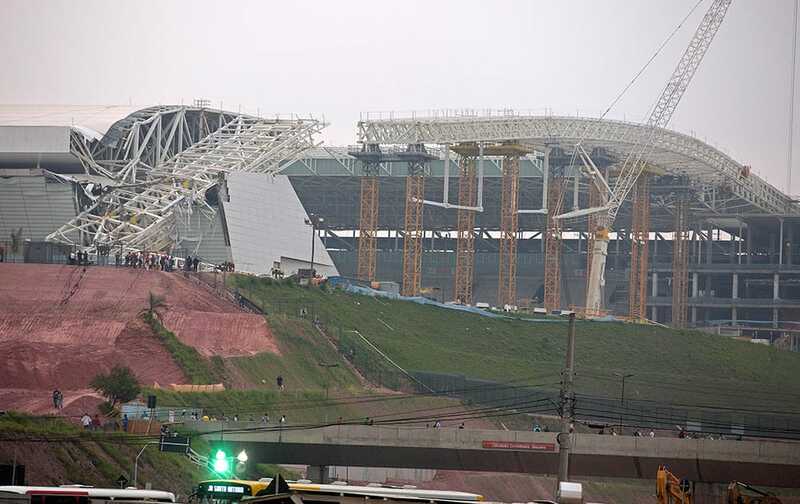 A buckled metal structure sits on a part of the Itaquerao Stadium in Sao Paulo, Brazil. 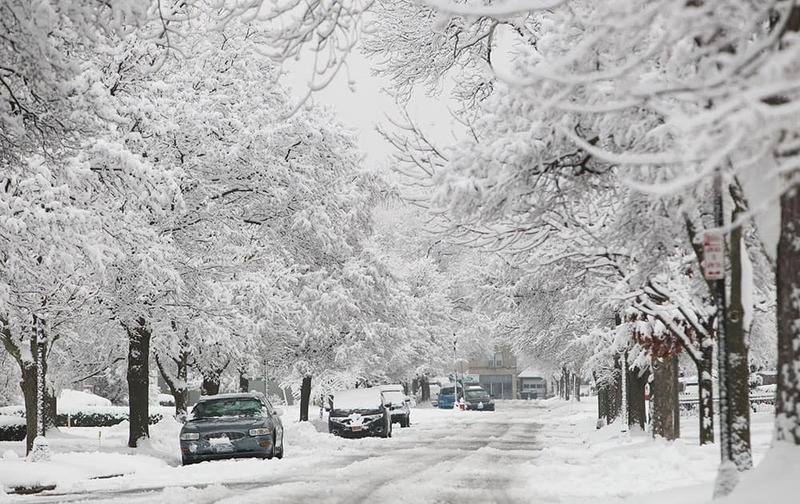 Last night`s snow blanket the area making it a winter wonderland. 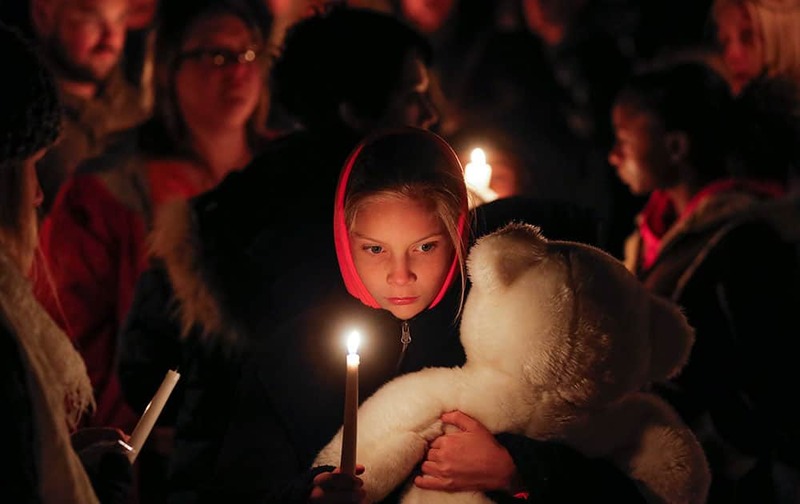 This is Winston Ave. in Buffalo, N.Y.
Lexi Umbarger clutches a teddy bear during a candlelight vigil in Parsons, Kan., for Cami Umbarger and her three young children – Hollie, Jaxon and Averie, who were found murdered in their Parsons home. 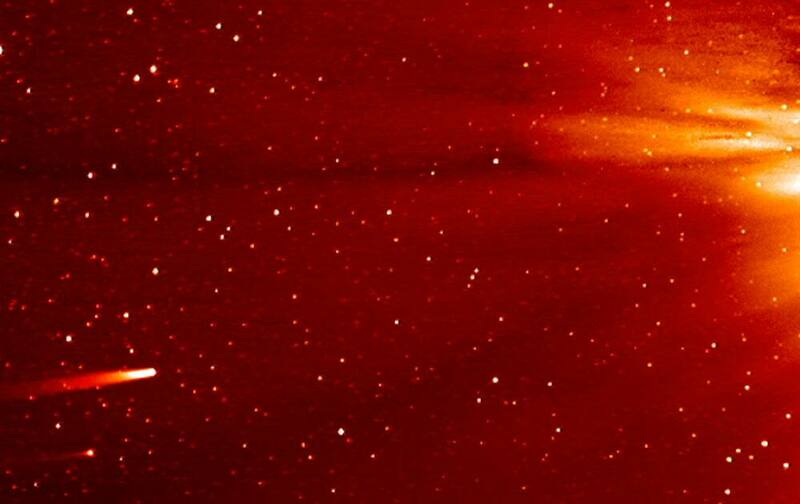 In this frame grab taken from enhanced video made by NASA`s STEREO-A spacecraft, comet ISON, left, approaches the sun. 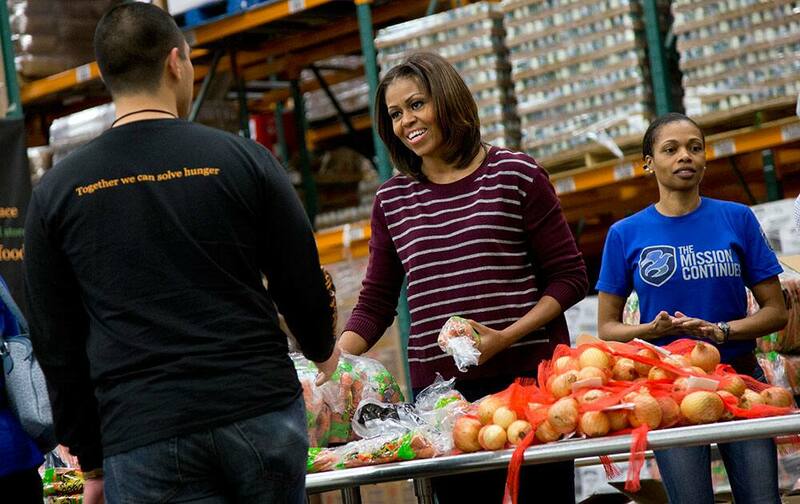 First lady Michelle Obama smiles as she participates in a Thanksgiving service project by handing out food at the Capital Area Food Bank in Washington. The Capital Area Food Bank distributes 30 million pounds of food annually. Dancing girls perform at the elephant fair in Sonepur. 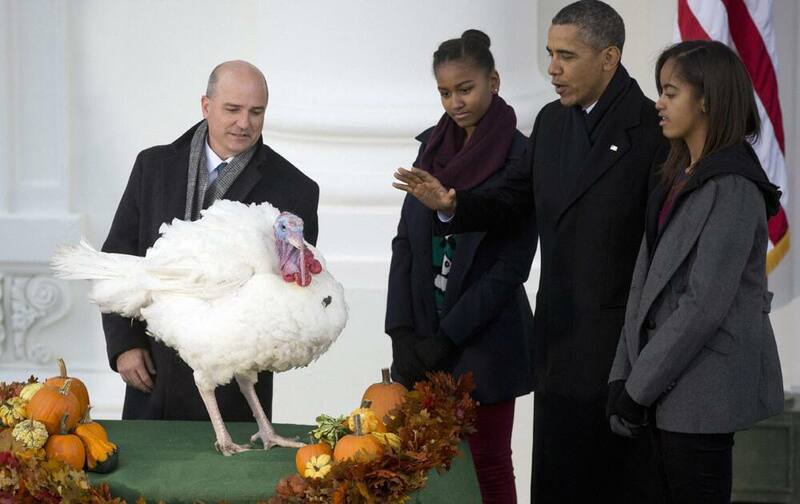 President Barack Obama, with daughters Sasha and Malia, carries on the Thanksgiving tradition of saving Popcorn the turkey from the dinner table. 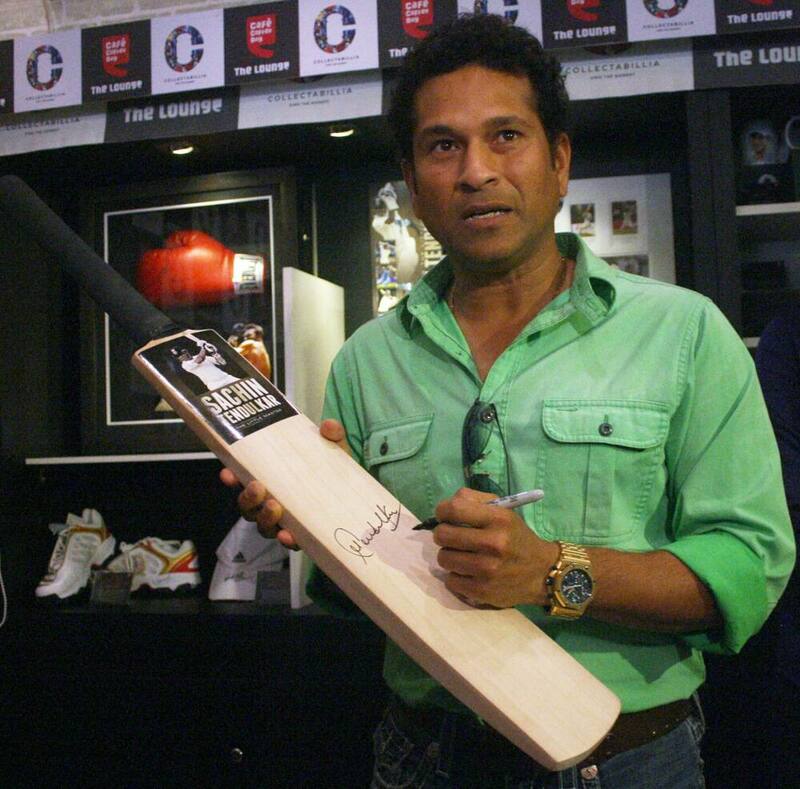 Sachin Tendulkar signing a bat during a launch event in Mumbai. 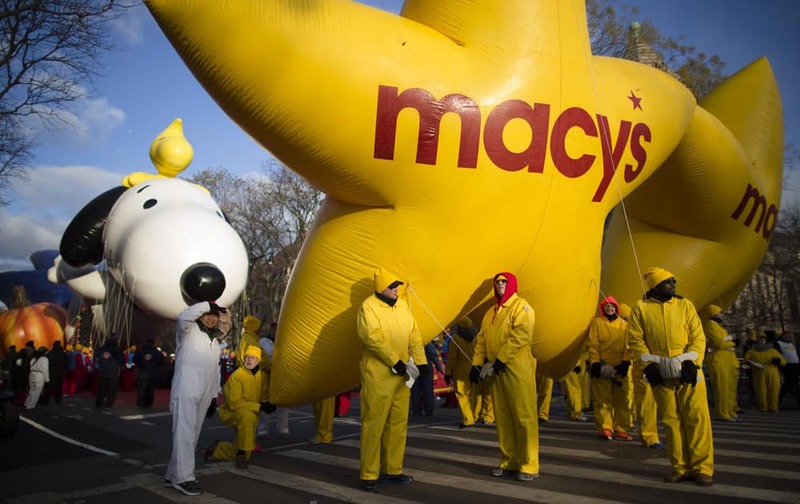 Balloon handlers wait before the 87th Annual Macy`s Thanksgiving Day Parade in New York. Sachin Tendulkar and UNICEF Regional Director for South Asia Karin Hulshof display a certificate declaring Tendulkar UNICEF ambassador for South Asia, in Mumbai. 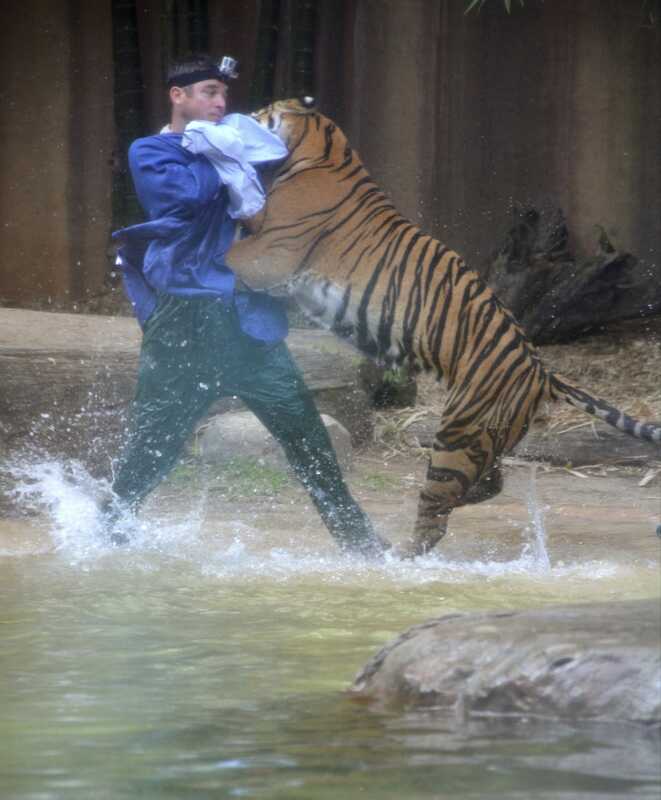 A Sumatran tiger leaps on Australia Zoo handler Dave Styles in an enclosure at a zoo in Sunshine Coast, Australia. Styles who suffered puncture wounds to his head and shoulder was rescued by fellow workers at the zoo. 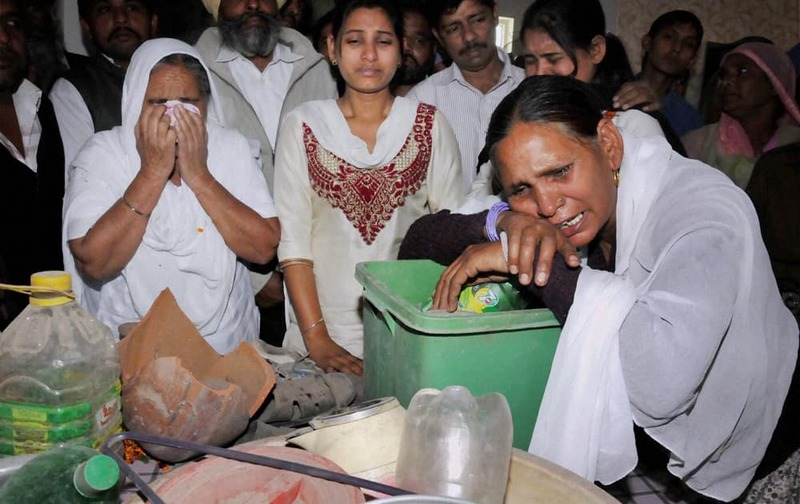 Sarabjit Singh`s family weeps as they go through his belongings which were received from Pakistan at their native village Bhikhiwind, about 45 km from Amritsar. 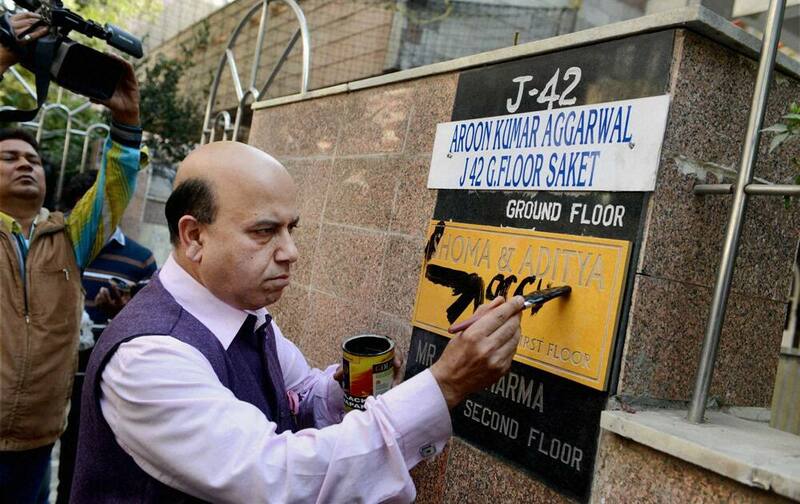 BJP leader Vijay Jolly writes words at Shoma Chaudhury`s residence in New Delhi. 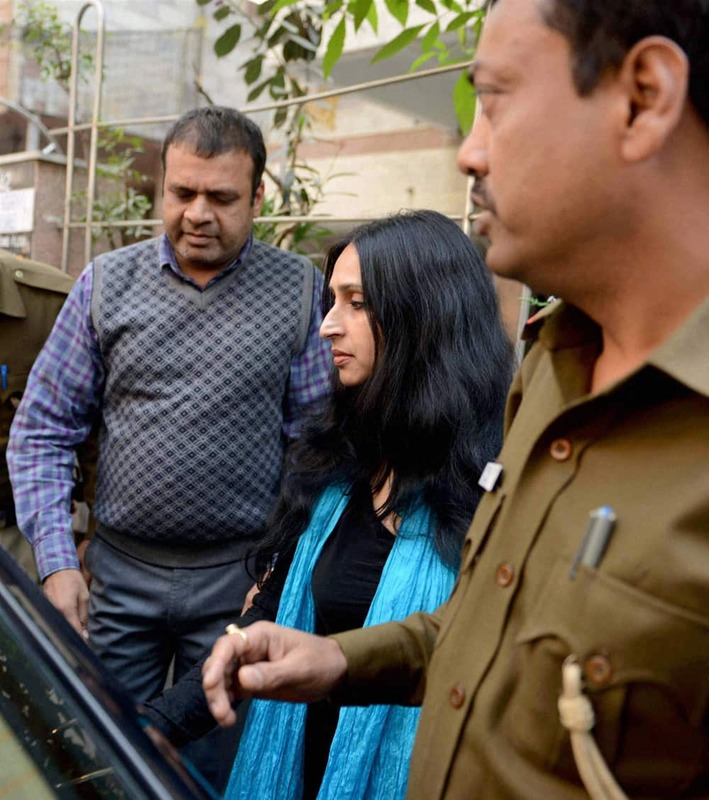 Shoma Chaudhury is escorted by the police at her residence in New Delhi. 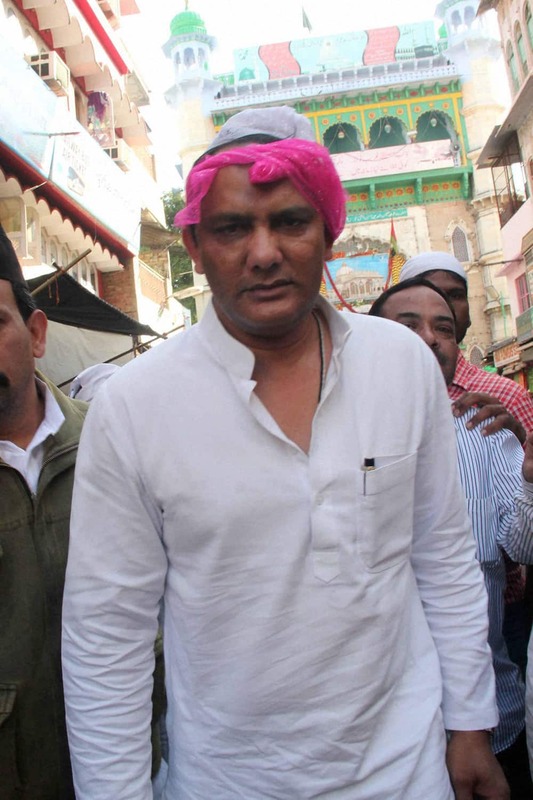 Azharuddin visiting the shrine of Khwaja Moinuddin Chishti in Ajmer.